The Philips Respironics ComfortGel Blue Nasal CPAP mask is the next generation of the original ComfortGel Nasal CPAP mask. The ComfortGel Blue offers the best characteristics of the original ComfortGel and adds several enhancements. An improved premium forehead pad reduces pressure on the forehead. 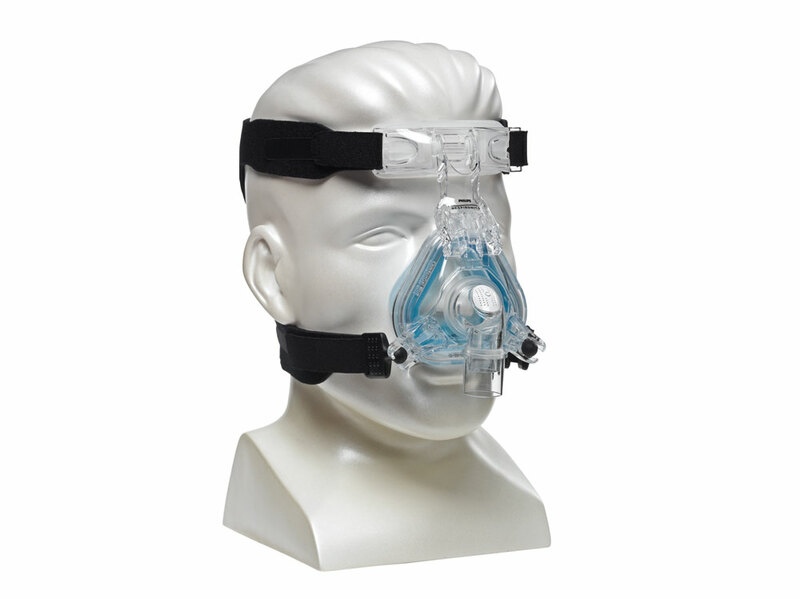 A shorter more compact tube connection and a much smaller profile mask frame make the ComfortGel Blue a lighter and less obtrusive nasal CPAP mask. An updated gel technology cushion and silicone comfort flap gives even more comfort and softness. Newly designed exhalation micro ports ensure a quieter operation and redirect air away from you and your bed partner. Respironics has also printed the System One Resistance Control code to the bottom of the cushion. If you connect this mask to a Philips Respironics System One CPAP machine, you can enter this Resistance Control Code and get the best possible exhalation relief and leak adjustments from your machine.